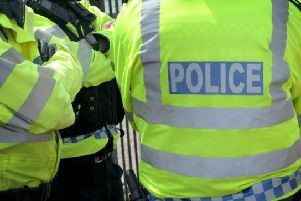 A retired detective from Kenilworth has said huge workloads and dwindling resources are to blame for Warwickshire Police not investigating a third of reported crime effectively. A recent investigation by Channel 4's Dispatches programme found Warwickshire Police did not fully investigate almost a third of all reported crime - and did not fully investigate around a quarter of all reported crimes involving 'violence against the person'. In a statement, Chief Superintendent David Gardner said resources were allocated based on demand, which meant some lower-level crimes were not followed up. And Andy Smith from Kenilworth, who worked with Warwickshire Police for 32 years, including as a detective sergeant for 12 years, said during his later years with the force it was very difficult to investigate certain crimes because something more urgent would always come in. He said he worked on a particular fraud case for two years because it was constantly pushed back due to more serious crimes being reported and taking priority. He said: "Demand just snowballed. Something always took precedence, and all the officers are then trying to play catch-up. "If there's serious crime, that will be investigated. But lower level crime like criminal damage and anti-social behaviour will probably not." Andy said he had been asked to stay by Warwickshire Police in March, but decided to take retirement because of how difficult the job had become in recent years. He added: "I said no because I wanted to walk away smiling. The force is having huge problems and I didn't want to get depressed. To be honest, I pity the officers I've left behind." "I would not want to be in middle or senior management. Policing has changed so much in the 32 years I've been involved in it." Andy was also surprised at yesterday's announcement that the alliance between Warwickshire and West Mercia Police was to end. He said: "Both forces have made savings, and were joined in things like major investigations and human resources. It's come as a huge surprise." Andy felt a regional system of policing, with larger areas like 'Greater Midlands' instead of county forces would be a better way to allocate resources more efficiently. Warwickshire's PCC Philip Seccombe has not responded for comment on the Dispatches programme.